Sometimes fate and circumstance, join to create very good outcomes. Chip Doolittle and Mark Hills had been working separately as successful solo advisors for many years, and by chance they met at a conference they both attended. The two kept in touch when Chip happened upon an opportunity to purchase a retiring advisor’s practice. Chip then called Mark to discuss this opportunity. Realizing they had similar values, beliefs, and passions, the two discussed the possibilities and logistics of working together. This discussion led to the duo envisioning a new path for their firms - an all-inclusive, kind, and understanding advisory firm for people and businesses looking to grow and preserve their wealth. 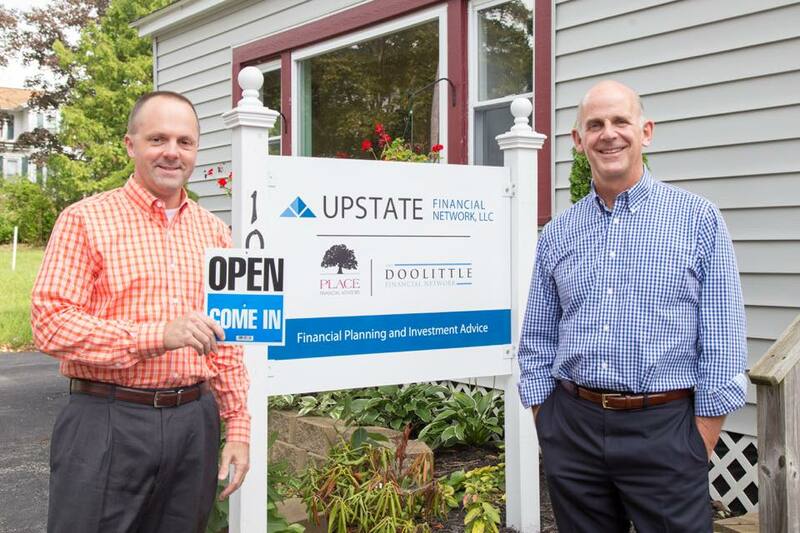 The result was Upstate Financial Network, LLC, and as the saying goes: the rest is history. Securities offered through Triad Advisors, LLC Member FINRA/SIPC. Advisory Services offered through Triad Hybrid Solutions LLC, a registered investment advisor. Upstate Financial Network, LLC and Triad Advisors, LLC are not affiliated. CFP® is a mark awarded to individuals who successfully complete the CFP Board's initial and ongoing certification requirements.